Sophia Danai is a strong woman, and she wants others to know they are too. The singer-songwriter started off like many other 20-year-old aspiring musicians, with the idea that fame was the ultimate goal. But after ending a tumultuous marriage and fighting her way out of a bad production deal, her view of success began to change. She found herself focusing more on her own personal path and message letting her fans know they are not alone and that through challenges, they can learn to be more compassionate. With this new knowledge and mindset, Danai went back to school and took production/recording classes, realizing the importance of creating her own vision and defining her artistry. As Danai grew and evolved, so did her music, and with the help of a grant from the Canadian government, she is finally able to put out the album she’s always wanted to make. Sophia’s 2018 release Real Lies is a seven-song collection of soulful electro-pop tracks that document the heartbreak and disillusionment Danai overcame to get where she is today. "I think the process of growing as a person and artist is uncovering our truth; to ‘realize’ and decode the lies we tell ourselves to protect us from pain," she explains. "Acknowledging and facing our anger, fear and loneliness allows us to move forward." Danai recorded the album at Echoplant Studios in Port Coquitlam, B.C. with award-winning producer Ryan Worsley (Dear Rouge, Said The Whale, Mathew V) and her band, Michael Meroniuk (guitarist) and Jan Orsag (Keys, Ableton Live). The four have gelled in a way Danai has never experienced before. "This time around, it feels like a creative oasis" she says. "We all have great respect for each other, and not only did I feel understood as an artist, but I felt supported and strengthened." "Come Thru" showcases the musical bond between Danai and Worlsey. Together, they were able to create a harmony between Danai’s singer-songwriter roots and the electro-pop soul that resonates throughout the rest of the album. A bluesy guitar riff leads the way as Danai sings in a gritty, soulful tone about the worst break up she’s ever experienced. Worlsey delicately sprinkles in some glittering electronics, and adds vocal effects to give the song an extra spark without taking away from Danai’s raw emotion. Already an award winning songwriter, Danai has continued to grow as a musician, and so has her live show. She connects with her audience on a personal level, and with the help of Orsag’s electronic influences, the energy has become palpable. Real Lies delves into pop with its upbeat and danceable grooves, while keeping dark and soulful melodies. While still appreciating the intimate moments, Danai enjoys bringing an audience to life with this new found intensity. It’s been almost a decade since Danai was that 20-year-old trying to find her way, and though she will be the first to admit she’s far from perfect, she is thankful for her journey, bad times and all. "This experience was a reflection of coming out the other side of everything I went through," she shares. "I want to be as authentic as possible with my story, in the hope that it could help my listeners feel seen." 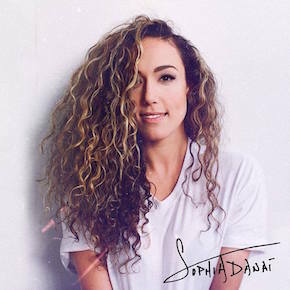 Sophia Danai's music is available for licensing for Film, TV, Commercials, etc!